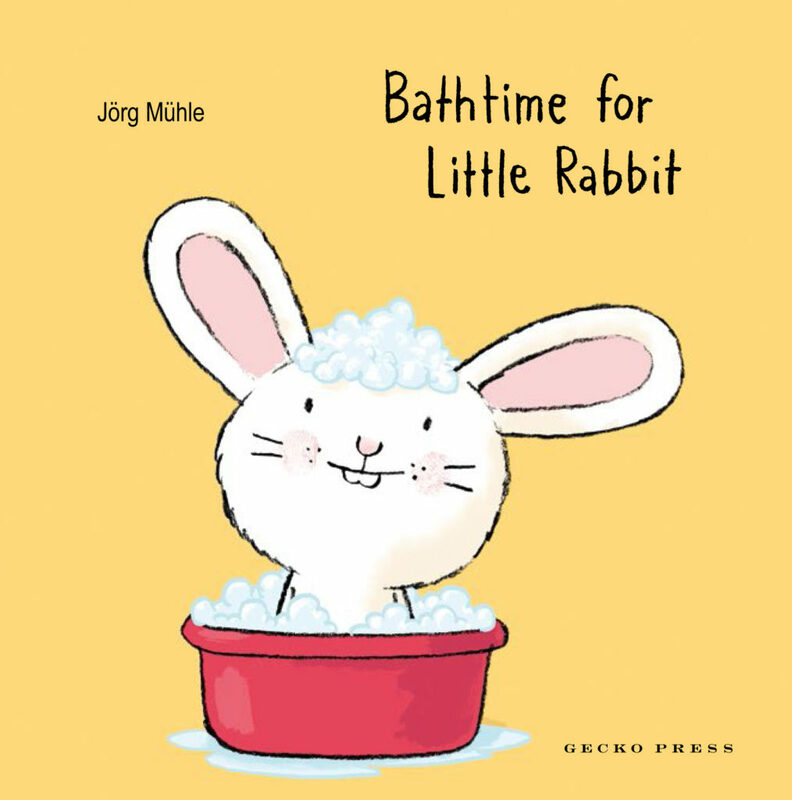 Bathtime can be lots of fun, and Bathtime for Little Rabbit shows how easy it is. It encourages young readers to put themselves in the place of the parent or carer who is giving the child (in this case a rabbit) a bath. It's a perspective that is different to similar books. As the 'adult' in the bathtime experience, you need to squeeze the shampoo to wash the rabbit's ears, and make sure to cover his eyes so the soap doesn't get in them. Then there's toweling the rabbit dry, blowing his hair dry with a hairdryer, and of course moisturising with lotion. The narrative speaks directly to the reader, asking questions and giving directions like 'Can you put some shampoo on him?' and 'quick cover his eyes'. Jorg Muhle has written a gentle story about an everyday situation which is gorgeously illustrated with simple pictures. I love Little Rabbit's expression and his ears drooping as they are cleaned. 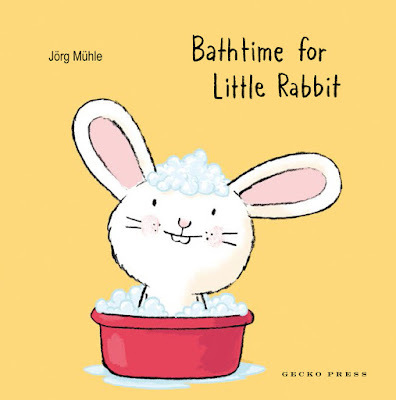 Bathtime for Little Rabbit would be great for reading before or after a bath. Cute, interactive and perfect for little rabbits and readers everywhere!